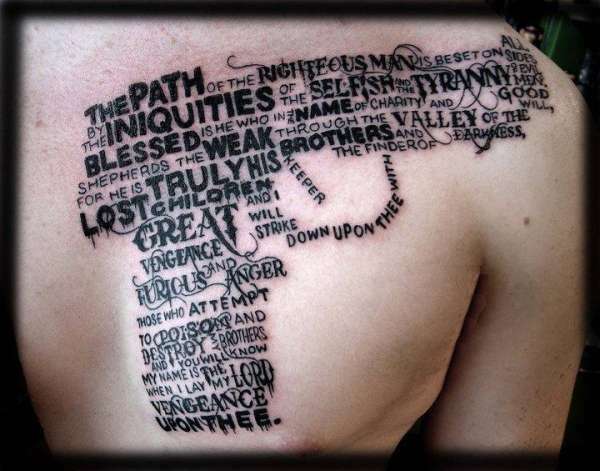 The piece is called Pulpography and is the famous Pulp Fiction quote said by Samuel Jackson in the shape of the gun he uses in the movie. It is also a quote from Ezekiel 25:17. This is really a cool piece. Very nicely done! This is amazing! Very very nice!!! !